please join us in welcoming the newest Lufthansa Lurker in our forum. LufthansaGermanAirlines will be the version 3.0 of LH's continued presence on FT.
We are very happy that after working together for more than a year that this project is ready for take off. LH recognises that FTers have intricate knowledge of their product and feedback received from this forum is taken seriously. Note that LH doesn't intend to open a new way/channel to submit queries to customer relations here at FT, rather they want to hear what you have to say and identify what is going wrong. The Lurker(s) are regular members of FT, so off topic comments about them, post stalking etc etc will be dealt with as per the FT TOS. Thank you very much for the introduction, Oliver2002 and Totti! We are sorry that our return to Flyertalk has taken us longer than originally planned - but this means that we are all the more excited to get back into the “game”! As the saying goes: “Good things come to those who wait”…..and we do hope that you will consider it to be a good thing that we’re back. There has been a change in our set-up for version 3.0 – we are now a team with a sound background in customer service, backed up by colleagues in various departments to help out. We will be available weekdays 9 to 5 CET. As we all do still have our “regular” jobs we will not necessarily react immediately. We can promise you though that we will try to answer any question you may have – and if we don’t have the answer right away, we will certainly try to get it for you. And of course we are curious to hear your opinions, suggestions, ideas etc. What do we ask of you? If you have a specific Customer Relations / Service issue that needs to be handled, please use your usual Lufthansa contacts. It is our aim to listen to what you have to say, to help with your questions and to pass the knowledge gained by your contributions here to our management. So here’s to a productive exchange! It will not be easy, but I believe it will be productive for all. For us, travellers, but also for you (The Six - Team) and for Lufthansa. Hope that all parts can ear what the others have to say (and not just some personal rants, but some strong opinions about Lufthansa's services nowadays). 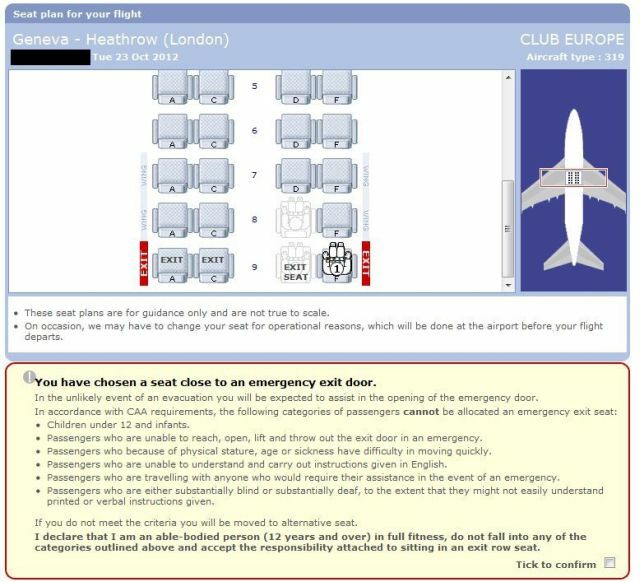 No more exit row selection? Allow me to take advantage of and to welcome you! Mostly TATL flights for work, almost always in S or W. Very very seldom in C.
Very seldom TATL flights for pleasure, preferred Z.
I've always been satisfied with the LH experience as a semi-FTL. Now that I fly TATL more often, the above list has me close to convinced that I should book with UA starting 1 Jan 2013. *G is easier to reach, which means connecting flights in NA are always op-up as I understand, and mileage upgrades are much more affordable. I was just on a LH longhaul flight today and learned the LH stopped providing feedback forms to passengers due to cost savings ....I find this an interesting approach in stopping to collect feedback from your customers...and the crew members I spoke during the flight agreed with me. Anyway ..seems new ways of communications are found ...welcome to FT again. For a while now, LH has a rule that there's no exit row in advance on the A346. Official reason is security (there's no FA by the exit). No big deal really, just a comment. You were informed correctly by my colleagues in the Service Center. The regulation regarding the advance seat reservation on the A340-600 was implemented for overwing-exit-seats on February 4, 2010 . The federal aviation office decided that all four exit seats in this row must be occupied. In general, emergency seats can be reserved by status members, though. To abide the federal regulation, advance seat reservation for all passengers had to be put out of action – therefore these seats are only accessible upon check-in 23 hours prior to departure. Please understand that this is out of our hands and we are sorry that we cannot offer the usual service here. I would recommend you to check in as soon as the flight is available, so that you can still get your preferred seat. Dear Isabell, thank you so much for your feedback and explanations! I will attempt to be the first one to click the "check-in" button before the flight. Thank you for the welcome – we're glad to be back! We always appreciate your feedback and will forward it to the responsible person at Lufthansa. Whereas ad-hoc op-ups at the airport are concerned – our colleagues at the individual stations decide upon those by several criteria. I can however assure you, that our status customers are definitely preferred. Thank you for the hearty welcome. We're looking forward to hearing from you again - via lufthansa.com or via FT. Whereas ad-hoc op-ups at the airport are concerned – I can however assure you, that our status customers are definitely preferred. Hello Ladies , good to have you here. Quite a few threads here that states that the policy has now changed.